Oh, PlayStation Network, we all missed you so much. We’re so glad you are back with us again. What’s that? You have some gifts for us to make up for the time you were away? Awww, you shouldn’t have! In a grand gesture of gratitude and appreciation of patience towards PlayStation owners who suffered the PSN outage, Sony is offering some cool gifts as part of their Welcome Back Program. Before we tell you what you get as part of it, we must tell you that it is only available for those who joined before April 20, 2011. So no, you can’t just create an account now and claim them. Besides games, Sony is also offering 30-days of free subscription to the premium PlayStation Plus service. With this service you get access to exclusive content, discounts, and other features such as online storage of your save games and automatic downloads. If you are an existing subscriber of this service, you will automatically get extra 60 days added to your account. You will also receive 100 virtual items in PlayStation Home with more content coming soon and a selection of “On Us” movie rentals available to customers only for this weekend where the service is available. And lastly, current Music Unlimited Premium subscription members will get additional 30 days added to their account, along with the number of days the service was unavailable. 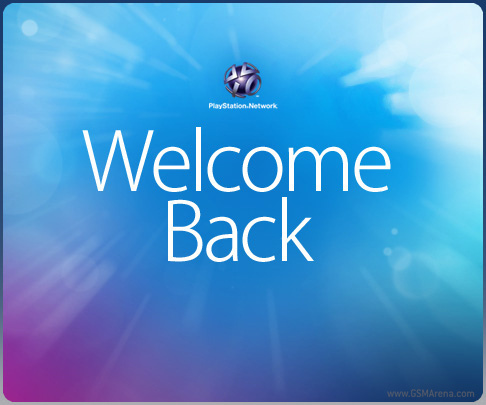 The Welcome Back Program is available till July 3, so make sure you claim your goodies till then. If you have any further questions or doubts hit the source link below for the full FAQ.